The Coen brothers’ latest film is a story anthology presenting the dark themes behind that most American of film genres, the western. 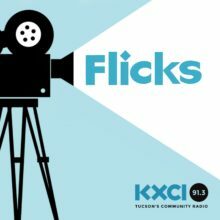 The Coen brothers, Joel and Ethan, have covered a lot of genres in their filmmaking career, and they tried their hand at that most American of genres, the western, in their 2010 remake of True Grit. Now they present another take on the American West, by means of a story anthology film called The Ballad of Buster Scruggs. The western tradition is so encrusted with myths and stereotypes, on top of a mountain of historical misconceptions, that the task of trying to untangle them to get to something real seems almost impossible. And this, the Coens are not trying to do. Instead they use the tools and symbols of the genre to create alternate versions of the Hollywood western, in which themes and subjects that have been largely ignored take center stage. There are six stories, presented visually as chapters in a dusty old book. The first, which gives the film its title, is pure parody, a specimen of Coen brothers cartoon-like comedy style, in which Tim Blake Nelson plays a singing cowboy dressed in white who also happens to be the deadliest gunfighter in the West. Besides being very funny, the segment introduces the themes of the rest of the stories, especially the theme of death, which haunts the film. The second tale is a kind of a throwaway, a clever joke about a bank robber, played by James Franco, who is about to get hanged. The next four stories are more substantial. In the third one, Liam Neeson plays a taciturn showman who goes around the frontier with an armless, legless man played by Harry Melling, advertised as “Hamilton, the Wingless Thrush,” who recites passages from Shakespeare and other poets and orators to steadily smaller audiences. Here the Coens introduce a touch of the macabre—the contrast between the flighty rhetoric and the seedy reality is chilling. In the fourth story, Tom Waits plays a grizzled prospector who discovers a vein of gold in a remote and beautiful canyon, only to have his find threatened by an interloper. A key figure throughout this film is the loner, not the stoic man of myth but the flawed figure of loneliness in the midst of a forbidding immensity. In the fifth, and I think the longest story, Zoe Kazan plays a young woman on a wagon train to Oregon who is left defenseless by the sudden death of her irresponsible brother, and must decide how to respond to the attentions of one of the wagon masters. This story shows the Coens paying their respects to perennial attempts to maintain dignity in the face of the worst conditions. Finally, the last story takes place almost entirely within a stagecoach, a kind of chamber play where five passengers, among them Tyne Daly and Brendan Gleeson, argue about their widely different views on what is important in the life of human beings, shadowed all the while by the specter of death. The picture progresses from an initial tongue-in-cheek attitude gradually through greater levels of serious engagement with the themes of fear and fate and mortality. The Coens turn their backs on the myths of heroism and nobility, paying full due instead to the greed and heartlessness characterizing the frontier, but also honoring the weak and the vulnerable, whose stories so often go untold. In The Ballad of Buster Scruggs, they’ve come close to the perfect profundity of the best short stories. This is another example of the new distribution strategy by Netflix that we’ve seen recently, for example, with Roma. A limited theatrical release is accompanied by a release on the Netflix platform. In the case of The Ballad of Buster Scruggs, the film hasn’t appeared on a theater screen in my city, but is only available on Netflix. I have to say that I have problems with this approach. For me, there’s something essential about seeing a film in a theater with an audience. In this case, the beautiful production values of the movie deserve to be seen in the large format. Time will tell whether this strategy will be the exception or the rule in our movie going future. In the meantime, savor the strange beauty and craft of The Ballad of Buster Scruggs.